As is often the case with big budget titles lately, copies of Assassin’s Creed IV: Black Flag are finding their way out of retail stores before the launch date. Those lucky enough to snag an early copy are also noticing that the multiplayer servers are already online. Lead multiplayer designer Tim Browne has confirmed this to be true, but assures everyone that the ladders will be reset on launch day. Anyone playing early, however, shouldn’t have much to worry about. Yes the AC4 multiplayer servers are up and running. To make things fair though we will reset the Ladders at launch. Browne goes on to explain that those playing early have “done nothing wrong,” choosing instead to blame retailers who sent copies out early. All in all, it seems like a pretty fair deal. 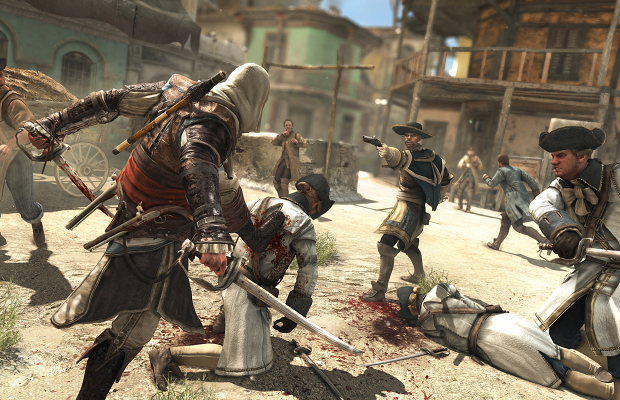 Assassin’s Creed IV: Black Flag will hit almost every available platform, starting October 29th for the PS3 and Xbox 360.